Diamonds are a girl's best friend. Or so they say. I'm not sure if it's true because I have never really been into jewellery. The most expensive piece of jewellery I have so far has to be my wedding ring and even this was not studded with diamonds or gemstones. In fact, much more than wanting it to be sparkly, I wanted it to be unique and personalised. That's right. So we designed our own rings using our names (letters J and S) and made our wedding rings truly one of a kind. So you see, to me, it's not about diamonds, it's about personalisation and owning that priceless piece of jewellery that cannot be bought anywhere else in the world. Thus, I couldn't help it but jumped for joy when Centime Gift offered to send over personalised jewellery not just for me, but for the kids as well. Now, that's the good thing about being a girl and having two daughters! We were delighted to see that our items came beautifully wrapped in these exquisite gift boxes. They not only ensure that the items are kept safe during shipment but are perfect for storage too. Look! This is the first time the girls are wearing silver jewellery because they usually only put on toy or plastic ones. I think these added a touch of elegance and made them look more girly than ever. Made of 100% silver, these jewellery are said to be totally safe for the kids. So even though the silver finish doesn't look as shiny and is a little softer compared to sterling silver 925, I would still opt for this just to put my mind at ease. In addition to bearing their names, the necklaces also came with lovely, cute charms - Ariel had a candy cane charm while Angel had a cupcake one. How very sweet! These charms look best sitting just below the collar bone and Centime Gift provides a guide on its website to help you select the desired chain length. Now, it's my turn! You know, I have been reviewing numerous toys and books for the kids and it really felt awesome to receive a gift this time round that was meant specially for me. 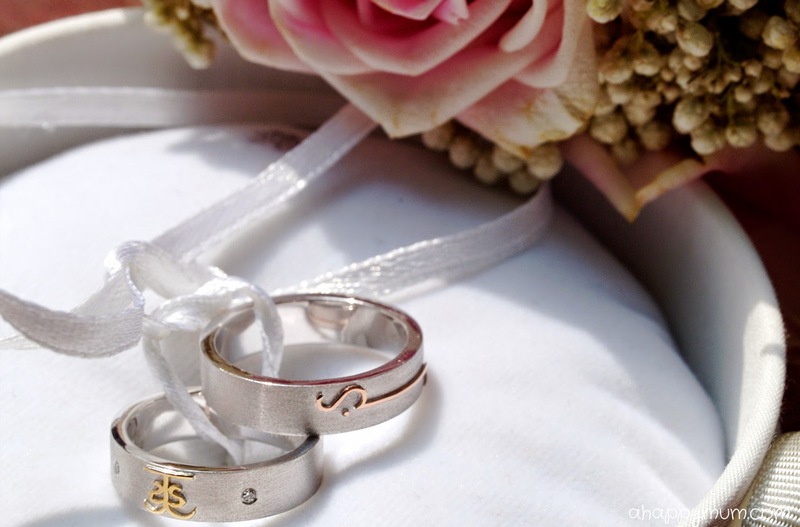 Right, even if that means I chose to carve their names on my rings. See what I mean? These stackable name rings, one of Centime Gift's bestsellers, make one of the best ways to hold your child's name close to your heart. If you have more than one child, it's easy, just stack them up! The rings, I mean, of course. You can also choose to wear the name of your spouse, parent or a dear friend. Just so you know, while Centime Gift provides a comprehensive ring size guide, from experience, it can be a little tricky to find your correct size and if that is the case, you can choose to have open ends for your rings. This also makes it possible for the rings to fit on any finger but just make sure you take good care of them as they might not be as strong as the closed rings. In addition to the beautiful name rings, I also received this personalised necklace that I absolutely love. Made of sterling silver, these classic, trendy-looking necklaces are suitable even for sensitive skin. Now, don't you think it totally brightens up the day? One admirable thing about Centime Gift is that every piece of jewellery is handmade - which not only makes each design unique and appealing, it is also timeless. If you would like, you can also send in your signature or handwritten words and make these into pendants. How unique and personal, right? I guess, you don't really need diamonds to sparkle. At the end of the day, it's more about feeling confident, graceful and joyful to be where you are in life. Thanks to Centime Gift for making us feel special and reminding us that all of us are unique in our own ways. 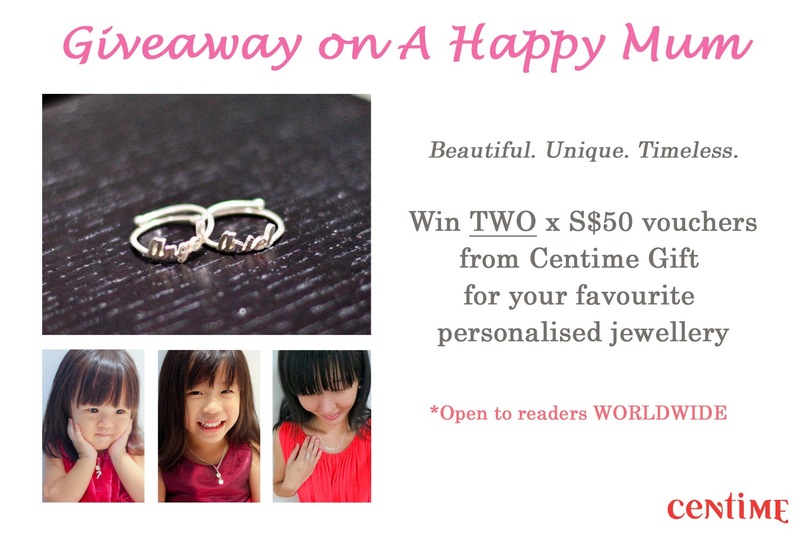 Now, for those of you who are keen to have your own personalised jewellery, A Happy Mum is now giving away 2 sets of S$50 shopping vouchers from Centime Gift. This giveaway is open to readers worldwide. To participate, simply leave a comment with your name, email address and tell me which is your favourite piece of jewellery from Centime Gift. Indicate in the Rafflecopter widget that you have commented and to gain more entries, you can follow the rest of the options. From now till 30 November, all A Happy Mum readers are also entitled to a 20% discount when you shop on Centime Gift. 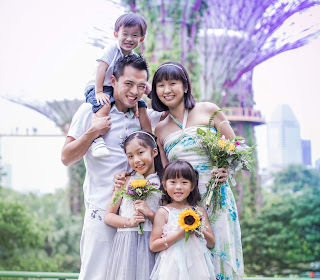 Simply enter the coupon code HAPPYMUM20 when you check out. Best of luck and have fun shopping! Disclosure: We received the above personalised jewellery from Centime Gift for the purpose of this review. All opinions are our own. I would love the personalised rings to wear my children's name on my fingers. Personalised rings are my favourite because the words are smaller, hence making the piece look really exquisite. The personalized stackable rings look really unique and delicate. 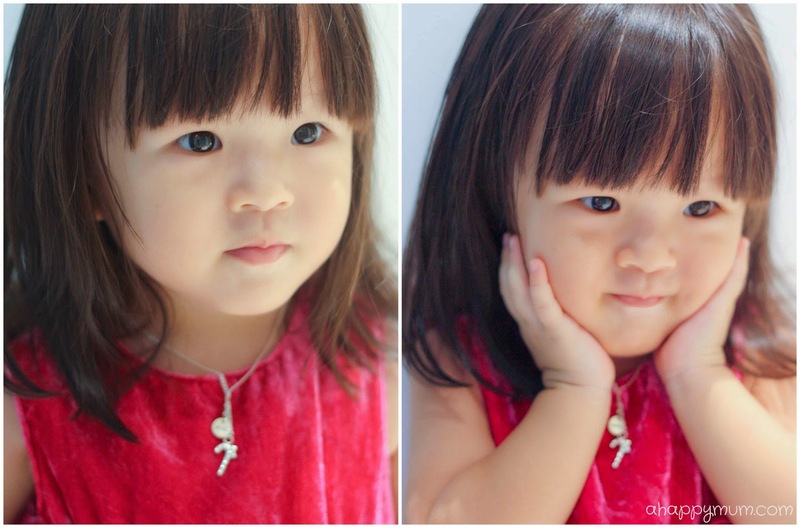 Name necklace would be lovely.. esp for my little girl whose birthday is coming. 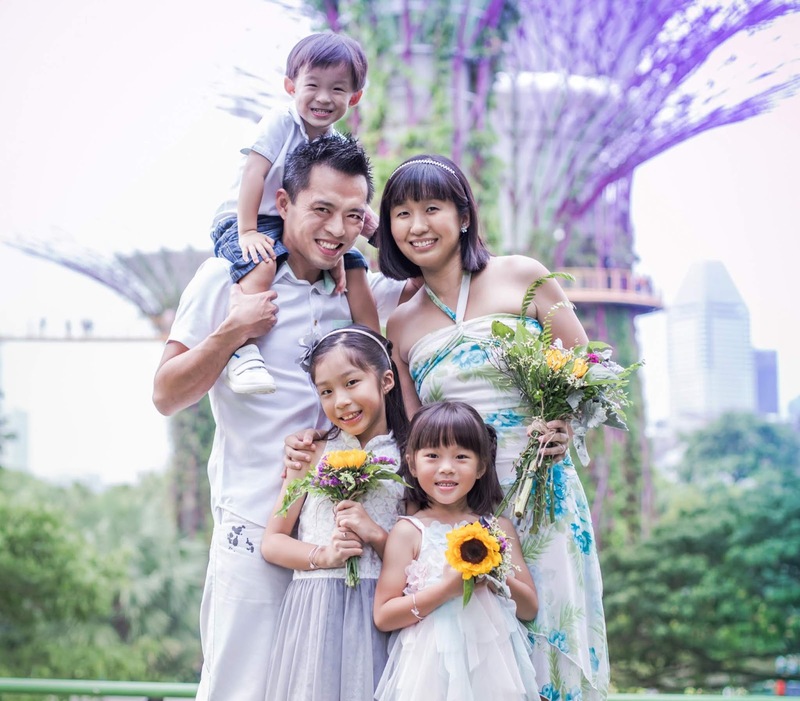 I would love to win this personalised necklace for my princess Shernise Ling. I know she will love to have this lovely personalised necklace for her coming birthday. I love the necklace with name & charm! So girly & pretty, perfect for my girls! 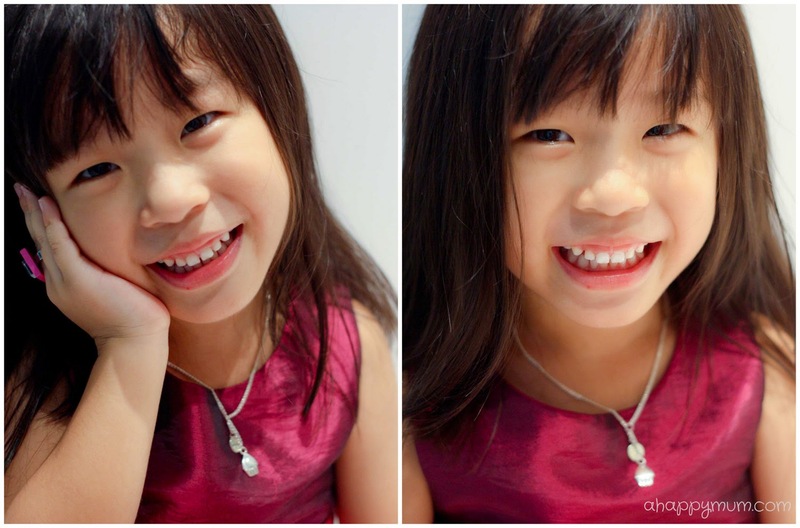 The personalised name necklace is very sweet and exquisite. Simply awesome..I love the Necklace with beautiful charms...Elegant, beautiful & Catchy..
Personalised rings! My wife would love this !! I like the Cut-Out Monogram Cuff Bangle! I like the Skinny Nameplate Bracelet, looks so dainty and pretty! Those stackable rings are gorgeous!